Prelude event: June 5, 2018 | PCAI Piraeus, 24 Dervenakion str. 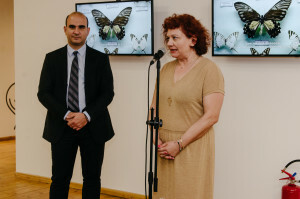 On June 5, World Environment Day, Polyeco Contemporary Art Initiative launched an innovative contemporary art project at the headquarters of Polyeco Group and PCAI in collaboration with the Contemporary Art Center of Thessaloniki and the State Museum of Contemporary Art in Thessaloniki. The Resilient Futures exhibition, curated by Syrago Tsiara, focuses on the concept of resiliency and sustainability and symbolically bridges the port of Piraeus with that of Thessaloniki. 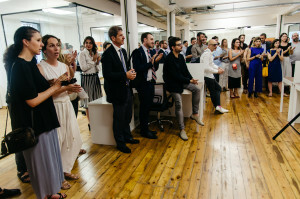 During the prelude event to the CACT Thessaloniki show, Mr Athanasios Polychronopoulos, Executive Chairman of Polyeco Group and PCAI Director, and Mrs Syrago Tsiara, Curator and Director of CACT, described their partnership and the forthcoming show whereas artists George Drivas and Loukia Alavanou talked about their collaboration with PCAI. 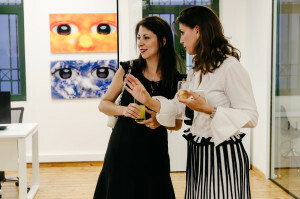 Guests had the chance to enjoy works from the PCAI Collection, including Efi Spyrou's installation Metamorphoses as well as videos and digital works by George Drivas, Saskia Olde Wolbers, Vassilis Karouk, Angelo Plessas and Natasa Efstathiadi. Especially for the event Stefanos Tsivopoulos' Amnesialand was shown, a 2010 work that is included in the Thessaloniki exhibition. 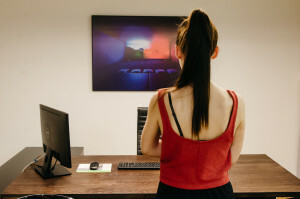 Next stop is the Resilient Futures opening at CACT on June 27 with participating artists Loukia Alavanou, George Drivas, Mary Zygouri, Hertog and Nadler, Vassilis Karouk, Eva Kotatkova, Oliver Ressler – Zanny Begg, Mika Rottenberg, Stefanos Tsivopoulos, Saskia Olde Wolbers. 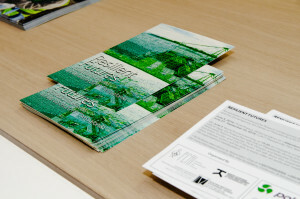 A bilingual catalogue (Greek-English) published by CACT Editions in collaboration with PCAI accompanies the show.